Carver’s 38 Motor Yacht offers the comfort and privacy of two staterooms equipped with separate heads, a large salon with a step-down galley and a large dinette/lounge. The enclosed hardtop aft deck and large command bridge together provide ample space for above deck activities. Carver built these boats to last; the solid fiberglass bottom and a solid fiberglass stringer system eliminates any risk of moisture-related hull problems that can develop with other build techniques. This freshwater Carver 38 Motor Yacht is fully equipped for extended cruising and comes with a full 2017 survey. 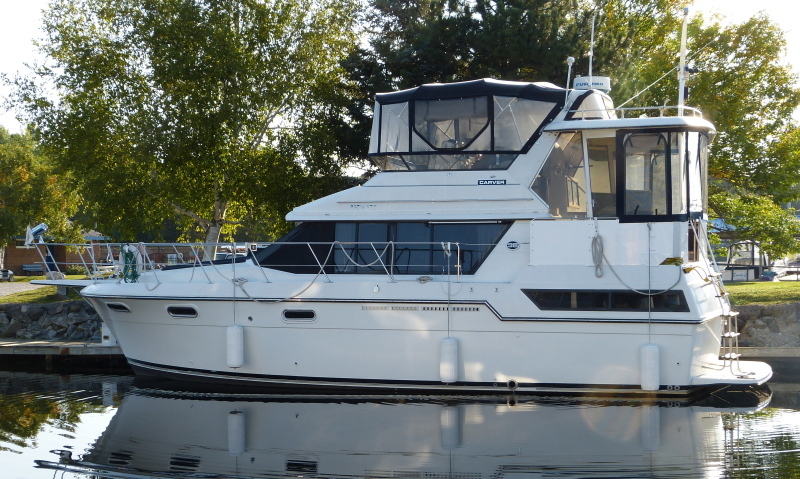 With low hours on the Mercruiser engines, she is an excellent buy with a whole lot more boating ahead of her.